This is part two, of a seven-part presentation series, structured to support those new to WordPress. The goal is to provide a contiguous set of WordPress Meetups designed to help attendees gain the skills to build and use a WordPress website. This series was developed in cooperation with the Four Points Chamber of Commerce. Just because the WordPress features give you the capability to set up a complete WordPress site in 30-minutes doesn’t mean you should. It is easier to do it right the first time then go back and rework, restructure. The great news is that Word- Press is such a powerful tool, changing your mind, reworking and restructuring, can be handled a magnitude easier than with the old-school static sites. The time invested in planning and organizing your WordPress website will net a successful website that meets clearly identified goals and provides compelling content that draws your audience to your site again and again. In addition it will be easy to navigate and is attractively designed to complement the content. We advocate the middle path. then ACT on the information your analysis has indicated. 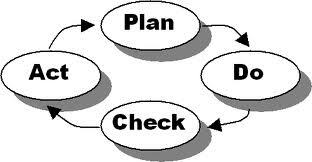 A successful site is the product of continuous process improvement. The time you invest in the improvement process will help you develop a site that will invoke a positive response from search engines and help convert site visitors into customers. Make sure that your website reflects and supports both your business plan and the marketing strategy you have set for your business. One of the reasons we are so enthusiastic about WordPress as a solution for business websites is that there are so many Free resources available to the beginning user. In addition to the Austin WordPress monthly meetups, you can find answers to most of your questions on the WordPress Codex [ codex.wordpress.org ]and if you are more of an audio/visual learner there are hundreds of videos at [http://wordpress.tv]. If you have questions between meetup you can always post them on the Austin WordPress Google Groups Forum: https://groups.google.com/forum/#!forum/wordpress-austin. Next month we will present: How to Choose and Install a WordPress Theme.